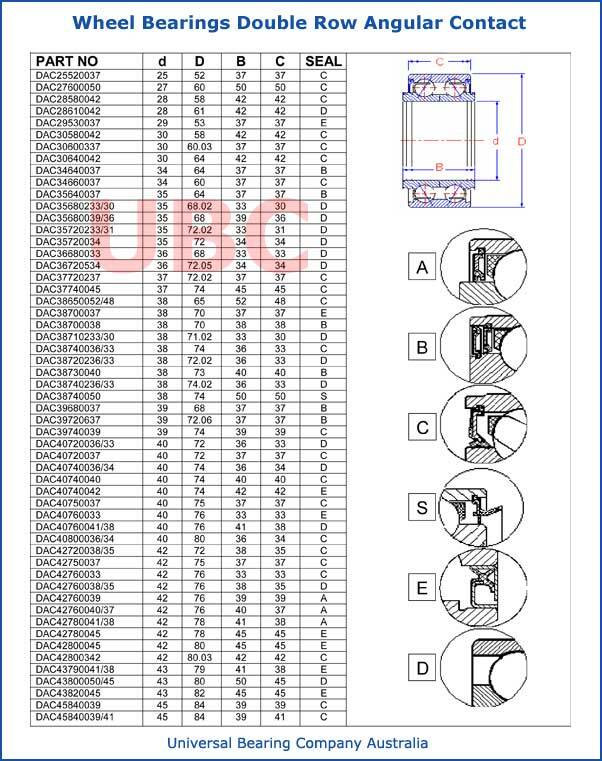 Wheel Bearings Double Row Angular Contact UBC Universal Bearing Company Hub unit bearings meet the demanding automotive requirements for high speed performance and durability. The seal has been incorporated into the hub unit which greatly reduces required maintenance. Improvements in steel and heat treatment have resulted in significant gains in bearing life. Compact design and case of assembly are also achieved when using this bearing. After years of efforts our company have developed a line of automobile wheel bearings contains over 100 various types. Double row angular contact ball bearings incorporating with one integral outer ring and two separate inner rings which are available either with seals or without seals.